– 2:12 marathoner Aaron Braun talking about how he almost retired after dealing with years of injuries, but didn’t want to leave any “what if’s” on the table. Braun is racing the Chicago Marathon on Sunday; his first marathon in two-and-a-half years. Who else is ready to watch Rupp DOMINATE in Chicago this Sunday?!?!? Wow. Japanese speakers, is it true that 2:08 marathoner Yuki Kawauchi can only run a 13.9 100 with a running start? Chicago Elite Marathon Field. Who is the favorite? RIP: Tom Petty Died Today. Favorite Songs? LRCWTW: Phoebe Wright Gets Married, Suddenly Becoming World Class At 31, And Something Doesn't Add Up At US 10-Mile Champs? 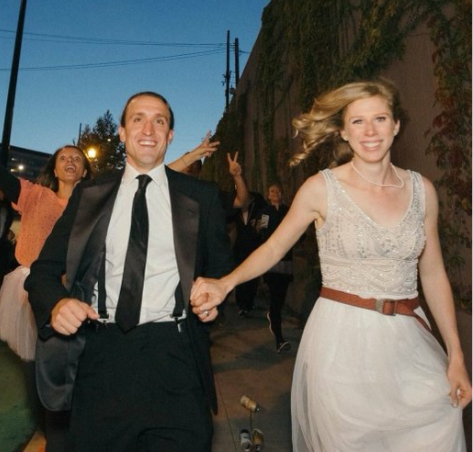 Thanks to Phoebe Wright we've got a new activity for runners at their weddings, plus a look at the NCAA XC picture, and a possible mix-up at the 10 miler dominated by Scott Simmons WCAP athletes. 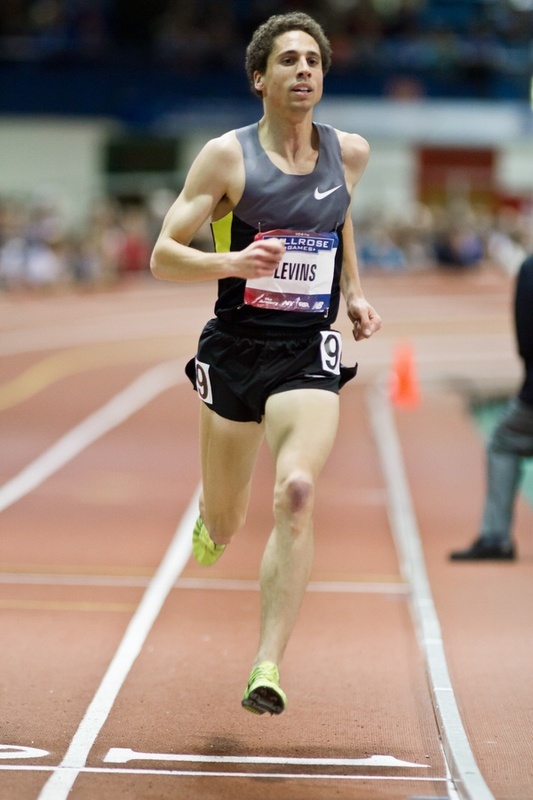 Cam Levins Making His Half Marathon Debut At The Toronto Waterfront Marathon On October 22nd Levins says he’s going to run with the marathon pace group at 63 minutes. He also talks about how he’s back to doing high mileage with his former college coach Eric Houle, has done a lot of training with Ryan Vail, and comments briefly on the coaching at NOP. Former European Indoor 800 Champ Jenny Meadows Is Shocked That Since “Retiring” She Can Make More Money As A Rabbit Than She Could Competing Meadows also said it’s “damn hard” to stay in good enough shape to pace races which may deter her from doing it again for the 2018 season. IAAF: Teen Prodigy Ajee Wilson Comes Of Age With World Bronze Medal Wilson’s coach Derek Thompson had a ton of praise for his star athlete and says how easy going and easy to coach Wilson is. US’s North American Hammer Throw Record Holder Gwen Berry Says The Greatest Challenge Of Her Career Was Overcoming Her Anxiety To Make Her First US Team In 2016 Berry was projected to make the Worlds team in 2013, but anxiety-fueled asthma caused her to black out while throwing in the ring. She failed to make the top 3 in 2014 and 2015 as well, but finally got her “mind more together” in to make Rio 2016. World Shot Put Bronze Medalist Stipe Zunic Talks About How He Copes With His Dislike Of Travel As A Pro Athlete Jet lag, being a big guy in a cramped space and having had to make an emergency landing in a charter plane when the cockpit glass started to crack are a few reasons Zunic hates to fly. Pretty Cool: One Photo Captures Three Neck-And-Neck Races At The USATF 10-Mile Champs The men’s race, women’s race, and the “equalizer bonus” all came down to a sprint finish between Leonard Korir, Shadrack Kipchirchir, Sara Hall and Notosha Rogers. Korir Kipchirchir ended up winning the men’s race as well as the $10,000 bonus for beating Hall by 1.2 seconds. 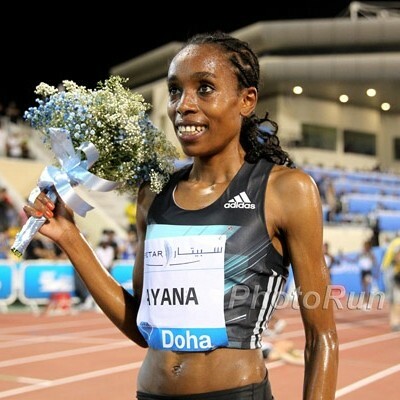 RunBlogRun: What Do Elite Distance Runners Do In The Off Season? Cathal Dennehy talks to Emma Coburn, Colleen Quigley, Brenda Martinez, Jenny Simpson, Nick Willis and Chris O’Hare about their off-season activities. Kevin Castille Breaks The Men’s 45-49 World 5K Best With 14:29 Win At The USATF Masters 5K Champs In Syracuse The previous best was 14:31 by Kenya’s Wilson Waigwa back in 1994. Sascha Scott won the women’s race in 17:50. Emma Coburn Is Now A Race Director As The Elk Run 5K In Her Hometown Of Crested Butte, CO Is In The Books 500 runners participated, including Olympians Paul Chelimo, Courtney Frerichs and Aisha Leer. Shadrack Kipchirchir (47:33) Beats Out Leonard Korir By Less Than A Second To Win USATF 10 Mile Champs; Sara Hall Takes Women’s Title In 53:43 Hall beat out Natosha Rogers by 2 seconds while Aliphine Tuliamuk was 3rd. Kirubel Erassa (4:06) And Eglay Nalyanya (4:45) Win The Navy Mile In Washington DC This was the final stop on the Bring Back The Mile road series with Ben Blankenship and Emily Lipari the overall series winners. Justin Gatlin Says He’ll Stand For National Anthem If He Wins An Exhibition In Brazil This Week Racism exists but Gatlin’s dad was in the Army for 26 years. Japan’s 100th Ekiden Season Will Begin On October 9th – It Looks Like Tokai University Is Set To Dominate Tokai is coached by Hayashi Morozumi, Suguro Osako‘s HS coach, who focuses on XC type training. Meet Greg Duplantis: Pole Vault Coach, Former US Olympian And Father To Mondo He says 5.90m surprised him in 2017 and that they’ll be more “selective” in their competitions in 2018. Man Who Runs Marathons With Palestinian Flag Is Denied A Tourist Visa For Chicago Marathon And he’d already purchased his tickets. Which DL Meets Had The Most (Zurich) And Least (Stockholm) WC Medalists? Bizarre: Youth Olympic Games Will Hand Out Medals For Combined XC/Track Performance Everyone will do both, so if you are 2nd in the 3,000 and 4th in XC, that’s six points and the lowest total wins gold. Birmingham Unveils Grand Plans For 2022 Commonwealth Games Bid UK Government has agreed to back Birmingham’s bid for the 2022 Commonwealth Games and guarantee costs that could total £750 million. Free Tips From Discus Star Dani Stevens She won silver this year 8 years after she won gold at age 21. Usain Bolt Is One Of The Highest-Paid Celebrities Of The Year He’s 88th on the Forbes list, ahead of some actors/singers like Kevin Hart, Britney Spears and Katy Perry. Remember, Bolt was 23rd on the list of highest-paid athletes. 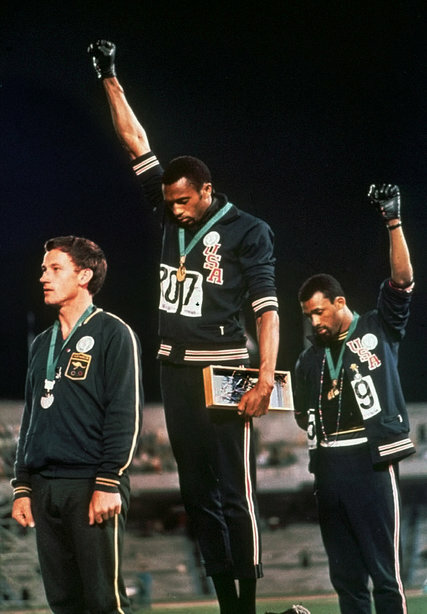 Good Read: NY Times: NFL Protests Draw Attention And Comparisons To 1968 Olympic Black Power Salute The article actually focuses not on Tommie Smith or John Carlos, but white Australian Peter Norman, who was ostracized for years for standing with the two Americans during their protest. When Norman died in 2006, Smith and Carlos flew to Melbourne to be his pallbearers. Dennis Kimetto Still Wants To Lower His 2:02:57 World Record Kimetto says he knew they weren’t going to get his mark in Berlin when he saw the muggy conditions. *MB: What do Kenyans think about Rupp? The article mentions Kimetto’s competition in Chicago being Stephen Sambu and Zersenay Tadese, but no mention of Galen Rupp. October 15: Ethiopia’s Tesfaye Abera (2:04:24 PR) Leads Amsterdam Marathon Elite Field He’ll face 2:05:54 man Amos Kipruto (2:05:54) as well as Zane Robertson and Edwin Kiptoo (59:26 half PR) in their debuts. Edna Kiplagat Has Her Eyes On The NYC Marathon Title Kiplagat will have her work cut out for her going up against Mary Keitany, who will be chasing a 4th title. Prize Money Significantly Increased For March 2018 Armory NYC Indoor Marathon At The Armory $3,000 to the winner with an extra $4,000 for a WR (2:21:48 for the men, 2:42:30 for women). 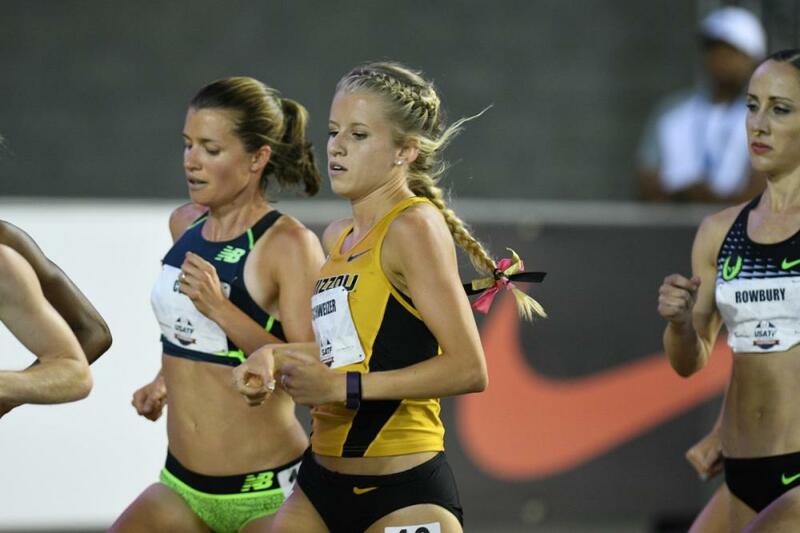 Good Read: DyeStat Profile On The Progression Of Returning NCAA XC Champ Karissa Schweizer Last year Schweizer become just the 4th athlete to complete the NCAA triple crown (XC, indoor and outdoor 5K titles) and has bumped her mileage up to 80 miles a week looking to do it again. Notre Dame’s Anna Rohrer To Miss 2017 XC Season With Hamstring Injury Rohrer had a procedure to “stimulate the repair of her hamstring” and that will keep her out for a couple weeks, but she’ll be back for track. 19-Year-Old India National HJ Record Holder (2.26m) Gets Scholarship At Kansas State Apparently he’s only the third athlete from India to compete in the NCAA. MB: Stanford only racing 3 times before regionals? DyeStat: HS Sophomore Brynn Siles Enjoying A Breakthrough Season In Colorado Last year Siles could have had a chance to make NXN as a freshman, but was accidentally put in (and won) the open race instead of the championship. LRC The 2017 Chicago Marathon Men’s Race Is LOADED With American Talent Besides Galen Rupp – Find Out Who Here Diego Estrada, Luke Puskedra, Noah Droddy, Chris Derrick, Sam Chelanga and others are all racing. We talk to nearly all of them. LRC Is Galen Rupp a 2:05 Guy? LetsRun Debates: How fast can Galen Rupp run for 26.2 at Sunday’s Chicago Marathon? Galen Rupp has run three career marathons – all have been great but non faster than 2:09:58. How fast can he go? LRC Aaron Braun And The Question All Runners Eventually Face – “Should I Hang ‘Em Up?” In the summer of 2016, Aaron Braun was on the brink of retirement. Now he’s back, doing what all runners do: chasing the dream. HOKA NAZ Elite Documentary (Part 1) A nice in-depth inside look at the training of the Flagstaff group which includes Aaron Braun, Kellyn Taylor, Matt Llano and Ben and Stephanie Bruce. 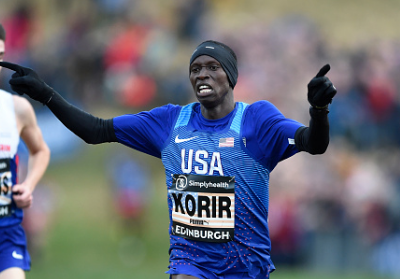 Abel Kirui Aiming To Win Again In Chicago Kirui says he’s been doing the same program as Kipchoge before he won in Berlin. Predict my Chicago time based solely on 4 weeks randomly selected from my training cycle. 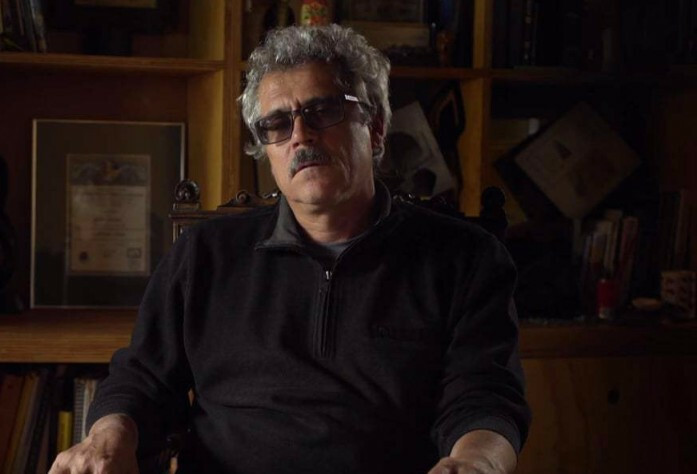 Renato Canova, what can you tell us about Abel Kirui’s training for the upcoming Chicago Marathon? Chicago Marathon weather not looking great, other options? Rundown Of The Ten 2017 IAAF World Athlete Of The Year Men’s Nominees Apparently it was the year for jumpers as Sam Kendricks (PV), Mutaz Essa Barshim (HJ) and Luvo Manyonga (LJ) were all undefeated on the year. Rundown Of The Ten 2017 IAAF World Athlete Of The Year Women’s Nominees Adding to the list of undefeated jumpers was Russian HJer Maria Lasitskene. Hammer thrower Anita Wlodarczyk was also undefeated for the 3rd straight year. Who Was The Best In 2017? IAAF Announces Nominees For 2017 World Athlete Of The Year Mo Farah, Elijah Manangoi, Almaz Ayana, Hellen Obiri and Caster Semenya are the distance athletes to make the 20-person short list. Neutral Russian World HJ Champ Maria Lasitskene Makes IAAF Short List Lasitskene was undefeated for the year over 24 competitions. BBC: Justin Gatlin Left Off Athlete Of The Year Short List They say it is the first time since 2004 that the world or Olympic 100m champion hasn’t made the short list, but Tori Bowie is the women’s world 100 champ and not on the short list. Why didn’t she get an article? Edith Chelimo Breaks UK All-Comers Record (#6 All-Time) With 65:50 Win At The Cardiff University Half Marathon John Lotiang beat defending champ Shadrack Kimining by 4 seconds to win the men’s race in a 60:43 CR. GB’s Dewi Griffiths was 4th in a PR of 61:31. World 5,000m Champion Muktar Edris Wins the Giro al Sas International 10k In Italy Edris beat out fellow Ethiopian Telahun Haile by just one second in 28:54. Christopher Thompson Beats Out Callum Hawkins By 34 Seconds To Win Great Scottish Run Half In 62:44 Flomena Cheyech Daniel won the women’s race in 70:17. Muktar Edris Wins Giro Al Sas Race In Italy Article is translated from Italian. Meet The Two Women Who Are Currently Trying To Break The Record For Fastest Run Across The USA – Is Anyone Watching Them? Recommended Read: The Seven Pillars Of Running Wisdom Hutchinson summarizes “seven key messages” around running science and training that can help you become a better runner. 2018 Boston Entrants Had To Be 3 Minutes And 23 Seconds Faster Than Their Age-Group Standard To Get In This is a lot faster than the 2:09 under you needed in 2017. Florida “Mermaid Race” Bashed With Complaints After A Late Start, Inaccurate Course, Inadequate Water In 90 Degree Heat, And Non-Safe Highway Crossings Apparently the race director never even obtained a permit to hold the event. Paris 2024 President Claims Paris Anti-Doping Lab Will Be Back In Operation Within Six Months After WADA Suspended Them Yesterday Apparently the lab, famous for developing the technology to detect EPO, was suspended because they had two tests which were false positives. Interesting: Q&A With BMW Head Of Sports Marketing Strategy, Who Explains Why Marathon Sponsorship Beats Soccer First reason: One out of four BMW customers is an active runner. Former WR Holder Patrick Makau Argues That Having Three All-Time Greats At Berlin Was Actually Counterproductive For The WR Makau felt that having all three in the race put too much pressure on them individually. Eliud Kipchoge Doing A Post-Berlin Nike Promotional Tour In Asia Also, in celebration of his Berlin win, 100 pairs of Kipchoge’s Nike Air Zoom Vaporfly Elite shoes were made available in Germany. Updated Men’s National Coaching Poll: NAU Stays #1, BYU Moves To #2 Syracuse remains ranked 3rd while Stanford moved from 2nd to 4th. Women’s Week 4 National XC Rankings: No Changes To The Top 9 Colorado, Oregon and New Mexico remain 1-3. Southern Utah Men Reach Historic High With #6 National Rank Winning the Notre Dame Invy bumped them up 7 places from 13th. Isaac Makwala Talks About London 400m Virus Controversy Makwala says he did not mean to suggest the race was a conspiracy when he suggested the IAAF favored Wayde Van Niekerk. 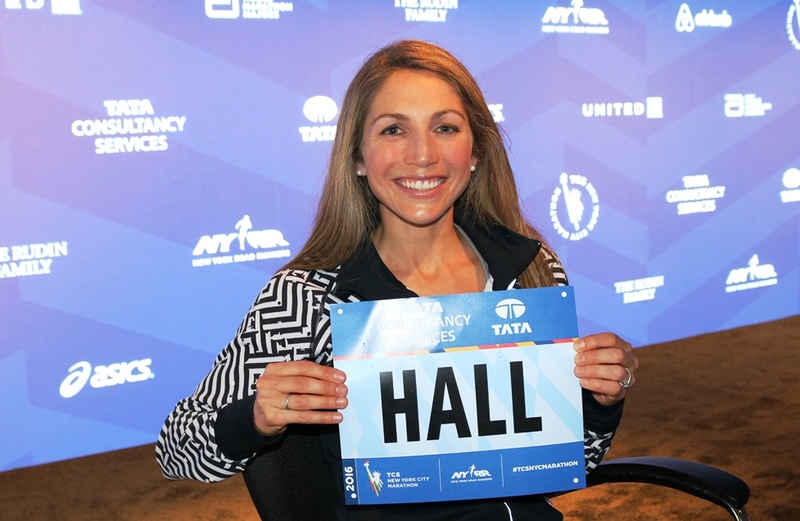 Carrie Tollefson Does Podcast Q&A With Paula Radcliffe (link fixed) Radcliffe talks about a slew of topics, including injuries, doping, the Chicago Marathon and her partnership with her husband. Howard University XC Racing To New Heights Under New Coach David Oliver A senior on the team said Oliver “has studied the cross-country side of track and field” and has cracked down on team tardiness. NCAA Athletes Of The Week Are Utah State’s Dillon Maggard And New Mexico’s Ednah Kurgat Maggard led Utah State to the team title with first place at Paul Short while Kurgat won Notre Dame Invy. Notre Dame: Women #1 Colorado Edges #4 New Mexico At 2017 Joe Piane Invitational Weini Kelati was 6th in her first big NCAA race as UNM went 1-2-6-8-34 and Colorado went 3-7-8-10-18. 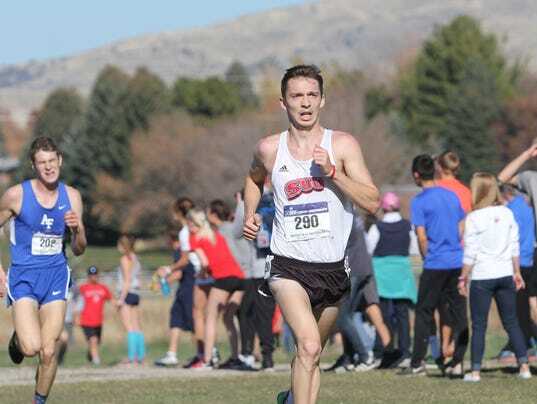 Men: #13 Southern Utah Takes Down #4 Colorado At 2017 Joe Piane Invitational The Alabama men went 1-2-3 individually. Dellinger: Men #6 BYU DOMINATES Oregon’s Dellinger Invite With 17 Points The Cougars placed 7 in the top 10. Oregon held out 1 guy while Stanford held out a ton. *How Flat Is The Course At The Bill Dellinger Invitational? Cowboy Jamboree: Ok. State Men And Ole Miss Women Win Dave Smith said the men are ahead of where he thought they’d be. In the women’s race, Karissa Schweizer won by nearly 30 seconds. Chile Pepper: Arkansas Men And Women Win The men’s race was 10k once again. D2 power Colorado School of Mines was 2nd in men’s race. *Unranked Utah State Wins Men’s Race In An Upset Over Georgetown. D2 #1 Adams State was third without star Sydney Gidabuday. Had he been up front, they might have won it. Catching Up With Benjamin Limo, Who Won Kenya’s Only Gold At 2005 Worlds On Last Day In Helsinki Retired, he’s a fixture at athletics meets when he’s not working on his dairy farm. Back With A Bang: Former World Half Silver Medalist/Rotterdam Champ Philes Ongori Returns From 2-Year Maternity Leave And Wins Half Marathon In Kenya Two years was much deserved as she had twins. Kenya Cahnges Its 2017 Domestic Schedule As Commonwealth Games Are In April And the African champs are in August. 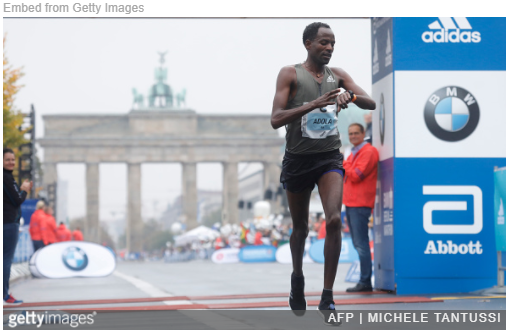 LRC Unbelievable: Guye Adola – Who Just Ran The Fastest Debut Marathon In History – Claims He Didn’t Know He Was Running Berlin Until 4 Days Before The Race Learn the back story of marathon’s newest star Guye Adola, who says he only found out he was running the Berlin Marathon last Wednesday. Update: Adola’s coach claims that Adola had known he was doing Berlin for 4 months but didn’t tell his friends until 4 days before the race. Register-Guard: At Long Last, Oregon Opens Its XC Season The season opener is 3 weeks later than planned after the Oregon Preview was canceled due to poor air quality. Andy Powell also revealed that Kate Murphy will most likely redshirt due to injury. RIP Hall Of Fame Coach George Dales, 96 Dales coached Western Michigan University to two NCAA team XC titles when coaching there from 1953 to 1970. Sunday: Defending Champion David Kiyeng Faces Strong Opposition At The Kosice Peace Marathon In Slovakia Kiyeng got the surprise win last year in 2:08:58, but this year faces Gilbert Masai (2:09:49) and Richard Sigei (2:08:28). Janet Rono (2:26:03) and Sheila Jerotich (2:28:53) lead the women’s race. Sunday: GB’s Dewi Griffiths Looking For Another PR At The Cardiff Half Marathon Griffiths ran 62:53 for 7th at the Great North Run and a 28:27 10K last week and will face defending champ Shadrack Kimining. Violah Jepchumba (66:06) is also back after winning the women’s race last year. Saturday: Close Battle Expected At The Hengshui Lake Marathon In China Bernard Kiprotich Too (2:09:47) leads a field that includes six men in the 2:10 range while Peninah Arusei (2:27:17) and Tigist Memuye (2:27:39) are the top women. October 29: Germany’s Arne Gabius Targeting A Fast Time At The Frankfurt Marathon Two years ago, Gabius ran a 2:08:33 NR at Frankfurt and this year is looking to go through halfway in 64:15. October 22: Uganda’s Alex Chesakit Hoping To Upset The Kenyan And Ethiopian Favorites At The Toronto Waterfront Marathon Chesakit’s PR is 2:13:06, but is hoping to go sub-2:10 in Toronto so he can qualify for the Commonwealth Games after visa issues kept him out of London Worlds.